Visitors are always welcome at the winery. You can just drop in for complimentary glass of one of our red or white wines in the ‘cantina’, or ask for a more complete tour of the winery and the olive oil press. 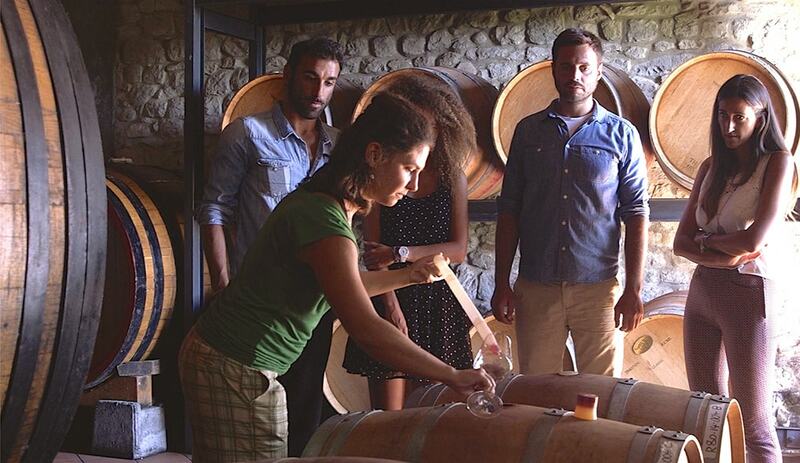 You are welcome to discover the art of wine and olive oil making. 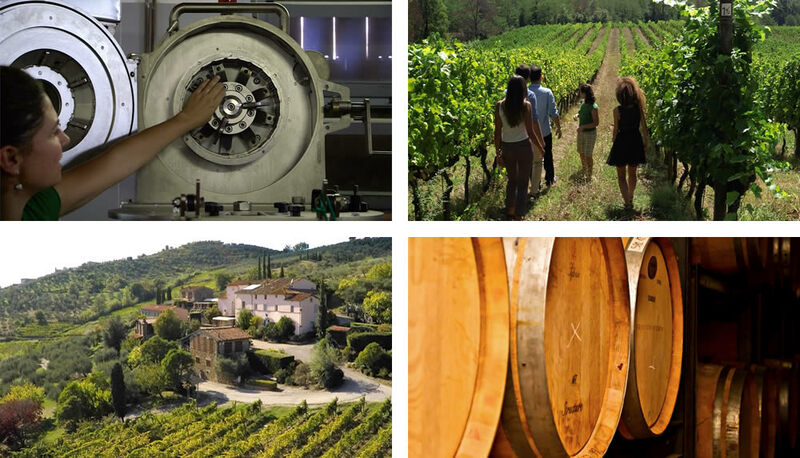 The tour starts with a visit to the Olive Oil Press and an explanation of historical insights involved in olive oil production followed by a guided tasting of our ‘organic’ olive oil. You will then follow the grape’s journey as it travels from the vineyard through the cellar to the finished wine, learning about the history of organic viniculture, the complex process of fermenting the grapes, and about the mysteries of oak-aging. The tour takes about 30 minutes. Enjoy a sit-down tasting and the stunning view of our vineyards. 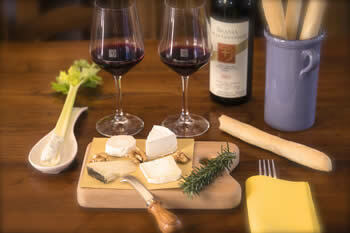 Come in and enjoy our food and wine pairing experience! On request, and for a minimum of 8 people, we offer winery-tours combined with a light luncheon served in our “Teverna” or on the covered patio. 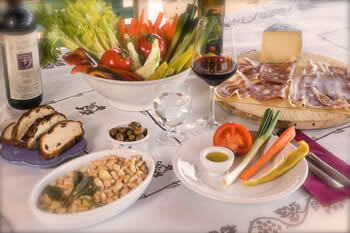 The lunch demonstrates how wine, typical Tuscan food, and olive oil can come together in a harmonious way. Guided tasting of 3 wines. Vegetarian menus are available! The full tour takes about 3 hours. For a detailed description of these courses, please check our Cooking Courses page. We are open Monday through Friday, from 10am to 4pm. 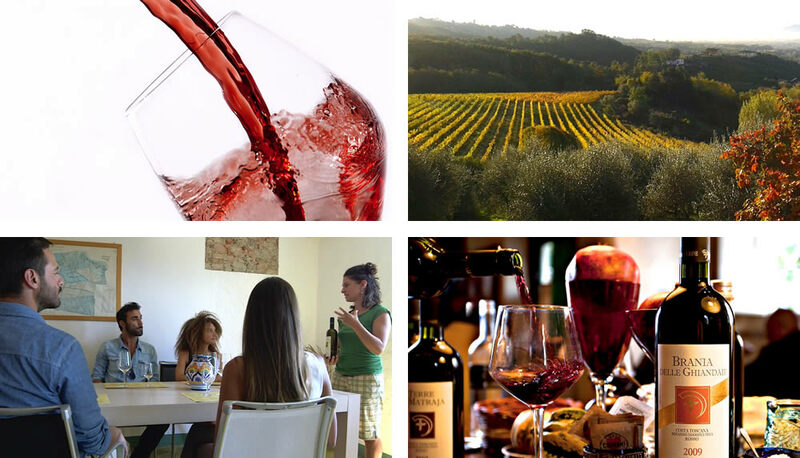 If you have any questions, please call +39 349 550.5701 or email info@colleverdevineyards.com.